Model: Dathaniel Heartson, who also took the selfie that became Gemini! 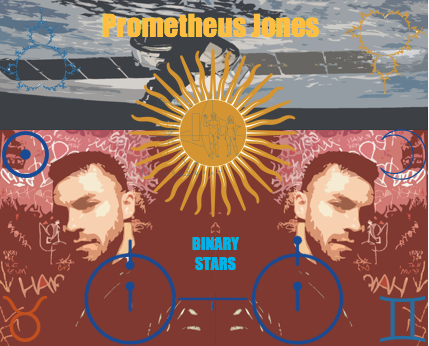 nBinary Stars is this month’s theme and given that it belongs to the twins it is very appropriate. Binary stars are a type of star system in which two stellar objects are entrained in their gravitational orbits to such an extent that the two form their motions around each other. We see this is the constellation Perseus with the fixed star Algol. Algol is in fact two stars that are orbiting one another and from our vantage point on Earth the star appears to “blink” or have variable light when in fact it is simply one star passing in front of the other that makes it appear to blink. It is an appropriate metaphor for the Gemini energetic signature as it reflects a kind of twinning. May was an intense month which featured six planets in apparent retrograde motion which correlates to an internalization of the salient issues symbolically tied to the planets in question. June follows a similar trend as five planets will remain in apparent retrograde some well into next year. The season of Gemini will also be starting around the 22nd of June when the Sun makes entry into the sign of the twins. The Gemini ruler Mercury found itself in apparent retrograde motion for the better part of the last month and perhaps had many of us scrambling and dealing with the breakdowns in communication and technology that are said to symbolically correlate to such motion. I certainly subjectively experienced it that way when I had to replace a computer that had become frustratingly slow in operation and began suffering programming instabilities that hampered my work being done on it. Thankfully I managed somehow and found the financial reserves to replace said computer. With the remaining planets of Mars, Saturn, Pluto, Uranus and Neptune all in retrograde motion, it is likely we all may feel a subjective pull inwards as it seems that the human drama becomes an inner struggle towards enlightenment with many instinctual pitfalls along the way. 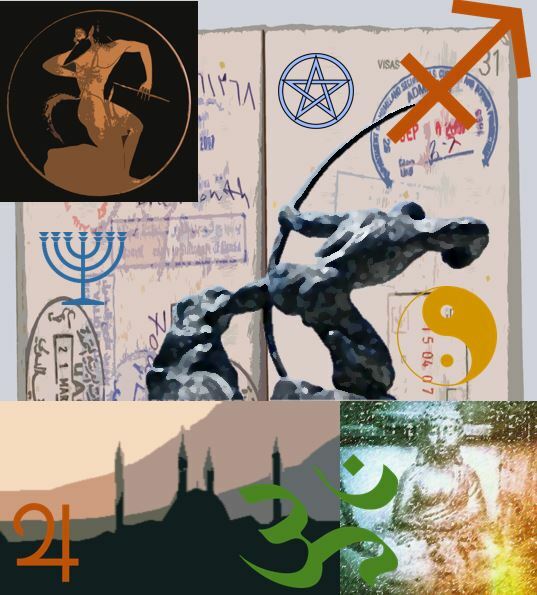 June will have some tense aspects including a series of Venus and Mercury squares to Neptune which can pre-dispose circumstances to reflect illusory underpinnings or provide an amplification of spiritual elements depending on which side of the Neptunian slope we tend to fall on (It is a slippery slope). At the very bottom of the post just before the picture tabs you will see a monthly aspectarian which will help to make sense of some of the solar maximums that can be expected (days of particular high frequency). Aries is the distinct symbol of personal liberty and individual rights. Progressively our civil rights are being chipped away through policy machinations such as The Patriot Act and Citizens United, two pieces of legislation that have profound impacts on individual rights and both of which were not put up for public debate. The voters did not vote for either one of these policies and yet they have become the law of the land. It is here that Aries as a symbolic power has its strongest apogee. It exists to sound the alarm at a back sliding into authoritarianism and create the groundswell that will turn the tide of a society slowly eating itself alive and passing over more rights and freedoms to oligarchic corporate interests at the expense of the people on the ground. 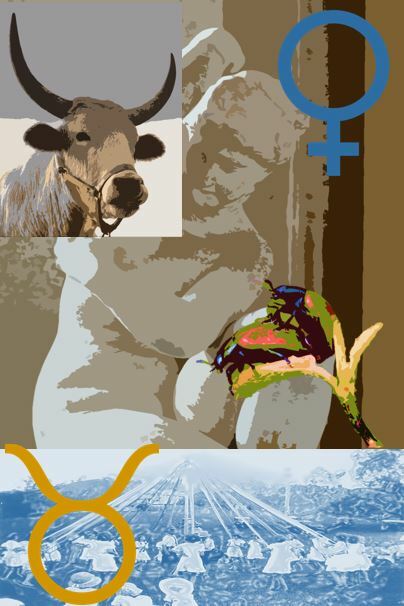 Aries is asking themselves the questions in this season of Gemini related to autonomy, liberty and power in the true sense which has to do with the ability to act, the liberties we can take, and the fight for sovereignty in a world where the individual is being mechanized into machines sorely in need of disruption. It is not an easy task Aries has but speaking truth to power is the only way anything has ever changed. With five planets in retrograde including the ruler of Aries (Mars, travelling through Libra, Aries’ polarity, the dimension is no longer solely the rights of the individual but of groups of people), it can feel like the entire human struggle is internalized, and to an extent it is, as it is individuals who must do the leg work of creating a brave new world. While it is true that a planetizing society often must sacrifice certain liberties (namely we can’t all reach a level of U.S. style consumption, nor would it be desirable). Even so, our civil liberties and human rights are universal and something that no economic or social convention can impinge upon, creating a system that acknowledges this inalienable truth is the path to its actualization in the world. Taurus is the symbol of finance and more profoundly valuations of every persuasion, in a word economics. In the season of Gemini Taurus is takes with inventing the philosophy that will give rise to a new set of economics that are reflective of the reality of life on Earth instead of the current pathological delusion of an economy we have now that is systematically enslaving people all over the world. Capitalism at its root is simply a system which turns the natural world into commodities and then capital. It has a dominator mindset and consumes people and planet without any remorse or consideration of impact, consequences it externalizes (they actually call them externalities). For all of the world’s problems a new economics is truly the one over-riding solution as it would shift culture in a direction of sustainability. This economics will be based on two constructs. The first is Post-Scarcity, wherein a state of hyper-abundance is reached and resources hence forth must be shared equitably to ensure stability and sustainability. The second principle is one of Resource Based Economics which takes a full accounting of the available resources and figures out methods to utilize them sustainably and in ways which support the integrity of the ecosystems they are native to. It means certain extraction and technologies will not be developed simply because the costs are too great to develop them (namely petroleum, coal, and natural gas, the burning of which are driving Climate Change which imperils both planet and people). This will most likely begin in stages, first a Universal Basic Income extended to every individual (it could be funded with a carbon tax which incentivizes people to move away from carbon fuels and further makes them economically viable in an age of increasing automation). A world currency that has the same value regardless of national borders may be the next step. Eventually it will lead to a post-Capitalist economics and an elimination of a monetary system, in which things needed will be virtually free, by this point materialism as a philosophy will most likely give way to a worldview in which social contribution is valued more over consumption (it is capitalism that creates a psychology of false desire fueling consumption). 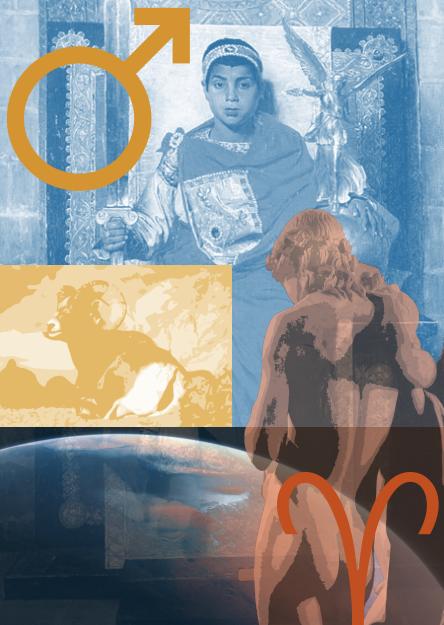 On a more personal level Taurus is grappling with questions of what value they place on various life functions. Are material comforts truly where value lies or is there a more profound dimension that value is found (free-time, social contribution, or meaningful work). A new debate has been raging between federal authorities and certain technology companies namely Apple Computer over the salient issue of data encryption. The flashpoint surrounds the newest designs of the Apple i-Phone which contain encryption technologies so powerful that the only way to access the phone is to have the users password. The implications are that an outside party is unable to access the phone without the password not even Apple itself. The recent issue of the MIT Technological Review has gone into this issue in depth. It has become a particular problem in two high profile homicide investigations in which those murdered had i-Phones that contain call and text histories which could provide clues and evidence as to the who their killers may be, trouble is law enforcement is unable to access the phone going through traditional channels (getting a warrant), and Apple can’t access the phone either due to their inbuilt encryption. In a word it is hampering the ability of law enforcement to solve crimes. This example is utilized as Gemini is the first of the air triplicity and therefore intimately related to communications technologies. Our age is one in which technology will continue its acceleration and the upheavals it will cause to the social construct will have to be contended with. This issue speaks to the issue of civil liberties and particularly privacy a prerequisite for much social congress to occur (marriage, relationships, sexual expression, and other forms of intimacy all require privacy to succeed). As technology advances it will be essential to grapple with the tensions between privacy and transparency and the related consequences of both. It speaks also to the age old debate between liberty and security, stay tuned as this issue could be the catalyst for an arms race between authorities and innovators. Gemini is given the distinction of this issue as it uniquely is at home with ambivalence and the seeming duality of tense subjects. 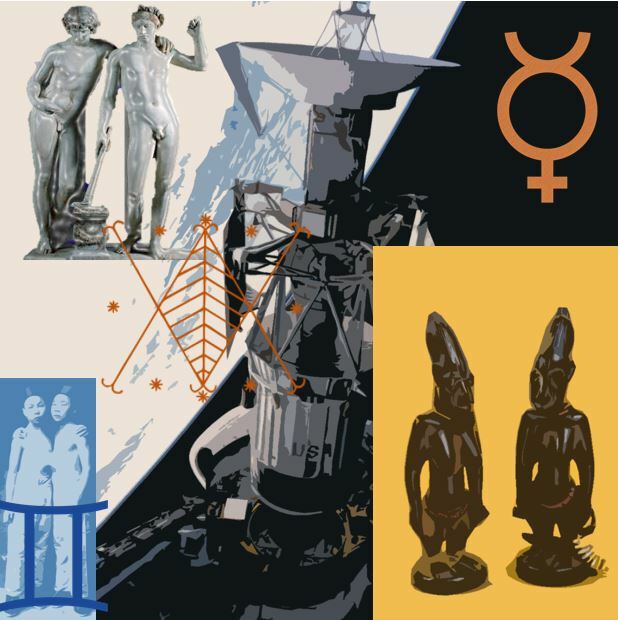 On a more personal level Gemini is grappling with issues surrounding its private life and its public face, and with Mercury only recently stationing direct it has been a wrenching internal process which is now slated to become a more public process, ultimately working towards a resolution. 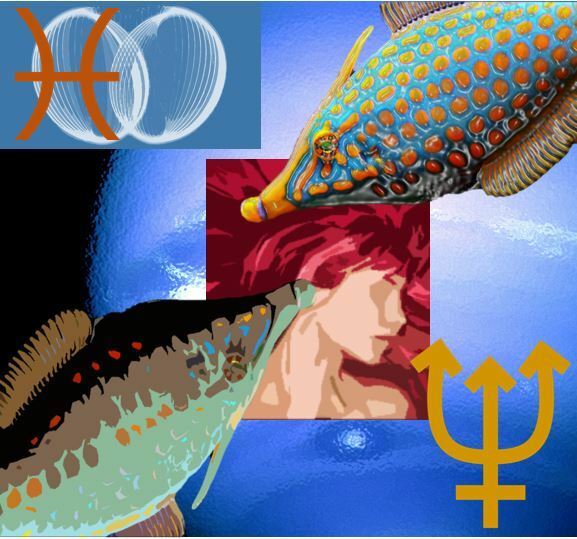 Some tense aspects throughout the month will create some conflict especially the Venus square Neptune of June 3rd, as this creates illusory constraints in the social realm. Cancer is the holder of all the genetic and social lineages and legacies that are the elements of the human race. It holds ancestral memory including the traumas and triumphs of history. Race remains a salient social problem the world over as it continues to drive oppression and social conflicts. The most recent example is an event that happened in Cincinnati Ohio at the city’s zoo in which a 3 year old boy fell into a Gorilla enclosure, and one of the male Gorillas, Harambe acted aggressively towards the child prompting Zoo officials to shoot the animal to save the young man’s life. While this event is far from remarkable as it has happened before, what is remarkable is the backlash the mother Michelle Gregg has received, a back lash that is demonstrably racially motivated. A similar event happened in 2015 in Cleveland Ohio, when Michelle Scwhab dangled her child over a Cheetah enclosure, for which he fell in and received no national media attention or outrage because in this case she was white. What these examples speak to is a differential in treatment a racial empathy gap present in U.S. culture. It is this structural cultural aspect Cancer is adept at addressing in their various ways. Given that the sign is a repository of social memory and in its darker shadow aspects can also be prone to ethnocentrism (which is the root of racism and prejudice). Along these lines Cancer is probing the foundation of these social constructs that continue to create these patterns of dissonance. On a personal level Cancer is deeply probing their own internalized prejudices and rooting out the darker elements to have a more complete picture, to unite the human family and extend the moral sphere of concern to include the broadest possible set of humanity. If it means that racism needs to be openly called out then so be it. 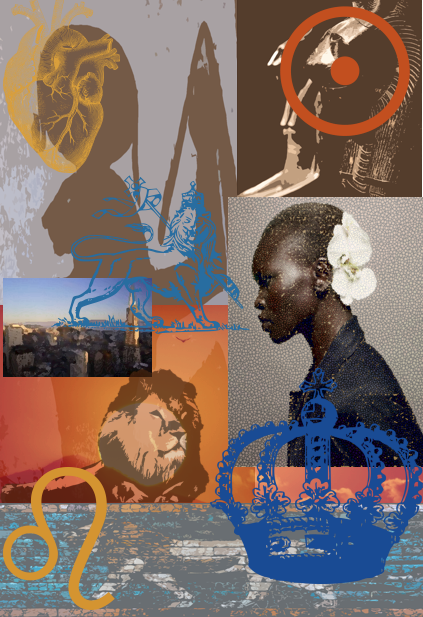 Leo is the purview of kings, queens, and others in positions of privilege and leadership. On the darker side it also is a repository of the shadow of authority, autocrats, dictators, demagogues and authoritarians. Case in point the rise of Donald Trump as a contender for the Presidential seat of the U.S. His platform is that of an authoritarian strong man leader not the type of nuanced and complex leadership that a complicated world needs. Trumps rhetoric is about emotional appeal and often lacks facts or claims consist of mostly false information. He determines to return America to a fictional golden age that never existed. It is this type of disingenuous leadership that is dangerous and can tank complex societies (as an example it was this form of leadership that brought down the civilization that developed on Easter Island). This particular demagoguery is what drove the campaign of Hitler in 1933 and the rise of fascism, in fact if you look at Trumps platform he meets 13 of the 14 elements of a fascist politics. Leo being the repository of leadership has a certain responsibility to call out these tactics for what they are. We live in age now when nuance must factor into all political positions and an understanding of complexity and diversity is essential. Effectively Leo is reminding us that we live in an age when strong man leadership will sink a collective not lead it to apotheosis. On a personal level Leo is asking where it may need to defer and let go of the need to be in charge and this is never an easy task for Leo to accomplish. At the same time it is starting a revolution in what it is to empower others which is true power, leading the banner that will bring about an end to the disenfranchisement that creates the conditions for demagoguery to arise in the first place. Largely the rise of authoritarian regimes are sparked by populist discontent with a political machine that no longer contends with the concerns of those on the ground, those who bear the brunt of policy implications and decisions made at all levels of official leadership. That we have created an economic system based on oligarchy and have consistently chipped away at civil liberties through policies designed to serve a minority of our population is the crisis of confidence in leadership that is the genesis of this issue. Leo is sounding the alarm that this state of affairs cannot continue. The idea of the ‘Tragedy of the Commons” is largely an illogical position, is precisely the lack of a commons that has made social life in the U.S. as bleak as it has become and now this austerity campaign is being exported around the world to create the same bleakness in other nations. The Greek crisis is a fine example of this, as is the rising cost of living in London (a direct result of the neo-liberal philosophy introduced by Margaret Thatchers’ administration in the late 1970’s and the early 1980’s). It has led in many places to anemic leadership largely out of touch with the daily realities of people on the ground otherwise known as the people who make up a commons in the first place. It has started with Welfare reform that criminalizes poverty, a state of being socially engineered by this philosophy in the first place. It has led to such a crisis in confidence that most public servants have largely forgotten their mandate to be of service to the public and not the other way around. The most egregious example of this is the current U.S. Congress, which has the dubious distinction of being the one that has been the most useless in American history. They have consistently refused to act on legislation and mandates that would honestly help most of the public, and have refused to do their jobs, all because their ideology is not being respected. Which would be a valid argument if their ideology actually worked in the major interests of the public instead of protecting their illegitimate power and privilege. 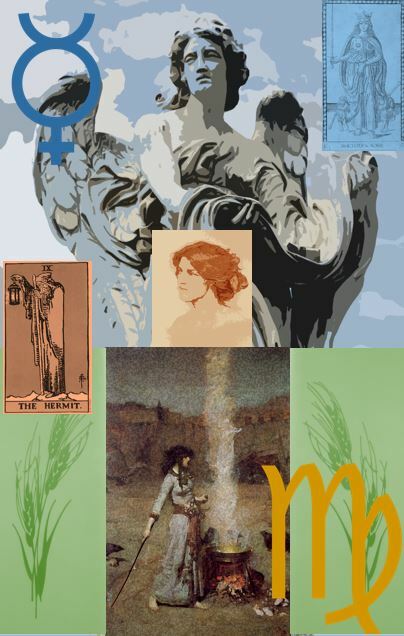 Virgo is the symbol of the public, the commons, and the pedestrian person, the people on the ground or to borrow a phrase from Marx the Prolertariat, or working class. These are the folks like you and me who toil and due the grunt work that keeps human economies functional and largely we are being collectively screwed over by a leadership that is so out of touch with our concerns that they refuse to do their jobs (a salient problem when Congress is largely made up of people wholly unlike us, as most are millionaires and billionaires and be default do not share our struggles) Given that this falls under the purview of Virgo, it is these folks, the most common sign of the zodiac (they get 45 degrees of the zodiac and hence there are more of them) Virgo’s are the harbingers of a new dialectic that reminds public servants of their obligations to the commons and the might of the public and the “mundane” individual. On a personal level Virgo is grappling with the realities created by this vast imbalance in power, they are devising a new system that will re-stack the deck in the favor of the commons. 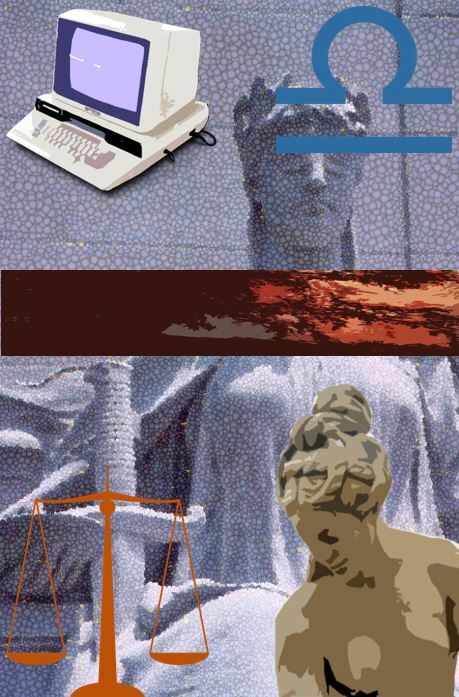 Libra is the symbol of justice and fairness, in all of its permutations. In particular in represents the need for social justice and the preservation of a social contract that allows disparate individuals with differing motivations to live in collective harmony. Increasingly there is a widespread recognition that elements of the social contract have been broken. A situation which is the genesis of significant inequality that we have been contending with for centuries that has developed into its contemporary forms. Namely we are witnessing the shrinking of the middle class a prerequisite of a strong democratic tradition and an increasing concentration of collective resources into the hands of private individuals. This on top of structural racism and an inability to grapple with a shifting demographic. Libra cannot allow this trend to continue as it is so corrosive to the principles the sign stands for. Increasingly there is need to address the salient imbalances and re-establish terms of the social contract that make life in a commons pleasant and not the existentially bleak exercise it has become. It will mean supporting the work of movements such as Black Lives Matter which are seeking to deconstruct the structural racism that feeds much of the inequality in society. Further, the economic policies which are destroying social mobility and consolidating generations to continual poverty also has to be addressed. On a personal note, Libra is personally grappling with the implications of a broken social contract, namely how it is affecting their lives (granted we are all doing this but Libra feels it more acutely, as it falls under their sign purview, or perhaps I am being overly subjective?). It is not hopeless my lovely Libras but it does require weighing options and potentially making sacrifices for a greater good. It will also require pulling on the pioneering energies of your polarity (Aries) and to burn it all to the ground! Surrender your white flag the time for social graces has passed and now those responsible need to be held accountable for a state of affairs that is limited the choices of people have all around the world. These are promising signs of a sea change in industry and economics, but they ultimately don’t go far enough as we must begin to divest ourselves and ween off of fossil fuels entirely. This must be done to avoid catastrophic climate change and stay below a 2 degree Celsius change in global average temperature as pertinent to the Paris Agreement. The most effective way to decarbonize at least according to James Hansen the former NASA scientist who brought this issue to the world’s attention has stated that a Carbon Tax is the only way to do it effectively. It creates a market signal which disincentives the production of fossil fuels and encourages the development of renewable sources. This falls under the Scorpio purview in that it is a tax, and a small shift in policy that will have massive impact, essentially averting a possible apocalyptic scenario which could spell the end of civilization. On a personal level Scorpios are dealing with the implications that such a project has for their lives and what their personal role in the great transformation is, no other sign is quite as equipped to responsibly manage the immense power that such a transition entails. The Goddess, a moniker to identify the repressed feminine in our cultural scheme continues to shimmy her way back into our collective consciousness. As she does so our social world continues to convulse in the birth pangs of a new social order, one in which women increasingly move towards equality to men in terms of rights, freedoms, and empowerment. The ultimate objective is to achieve what’s known as gender parity, the point at which there is equal representation of women to men in the workplace, in education and in political institutions. To achieve the root of the problem has to be addressed which is an inherent cultural bias that favors masculinity over femininity. 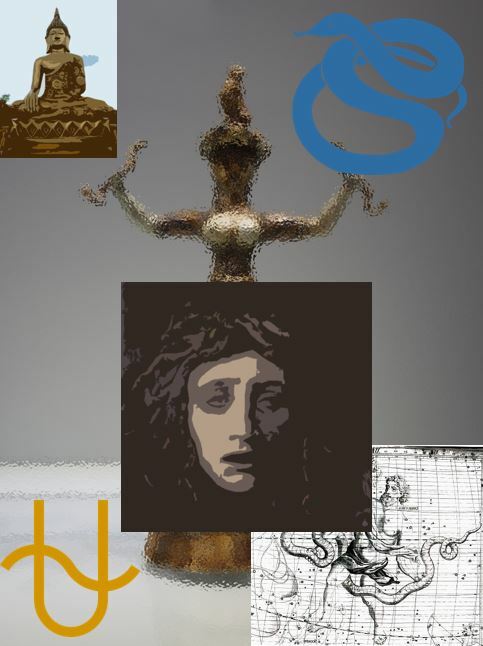 This concept fits uniquely well into the Ophiuchan energy matrix as Medusa a gorgon symbolic of immense feminine power is the main mythological archetype for this sign. There is certainly a long march before this will have been achieved. There are some promising starts, Canada has 50% female representation in its House of Commons, Germany has a female Chancellor in Angela Merkel, Iceland has completely turned itself around since the financial collapse largely the result of a culture that could be said to embody many feminine elements and of course there the UK’s Queen Elizabeth the Second, while not exactly feminist icons it is certainly a start in the right direction. Ophiuchus is slated to play a unique role in this continued penetration of the collective psyche by the repressed feminine. On a personal level Ophiuchus is strategizing the role they will play in this change not to mention that it is vociferous in up-ending the damage the Patriarchy has done and this is not limited to the signs cis-female residents but also its cis-male natives, its trans-gendered denizens and everything in between on the grand spectrum of gender. The world of late has shown a disturbing reminder that we have yet a long way to go in the process of becoming a truly global species. Nationalism has reared its ugly head once again with the European response to the Syrian Refugee Crisis, the rampant Islamaphobia inflamed all around the world, and a myriad of other small and large events that make plain that humanity is certainly experiencing growing pains in its adolescence and its gradual integration into species adulthood. In a word it is planetizing and ancient enmities are still rearing their heads largely because our species has not long been dealing with social realities that for us are evolutionarily novel and therefore we lack any inbuilt tendencies that we can default to. As such our long standing prejudices and limited altruism can trip us up. Close to home a disturbing trend in U.S. culture as more and more people are disenfranchised from a political system that is increasingly out of touch with their daily reality populations begin to fragment into splinter groups with extreme ideologies many of them based on ancient prejudices and demagoguery. This leads to a breakdown in collective power and a much needed integration and unilateral cooperation. In particular the convergence between Neo-Nazi groups and the Klu Klux Klan which seek to further entrench white supremacy and create a strong base for strong man campaigns like Donald Trump. This works at odds with what needs to happen which is these prejudices need to be consolidated to history and the world needs to integrate into a diverse multicultural organism, where national borders are increasingly irrelevant and humanity works together in a unilateral cooperation. Sagittarius this is your clarion call as your sign holds the energy of foreign cultures and long distances and with Pluto tearing through your sign it is a unique opportunity to transform the nature of globalization to better reflect and serve the interests of the commons of humanity and not the financial elites currently in control. On a personal level the archer may feel like it is internalizing the entire struggle of humanity, with Pluto in apparent retrograde this experience is amplified in the psyche. I encourage Sagittarius to sit with the inner congress, the denizens of your sign are up to big work and when it goes direct again you may have had a chance to resolve the struggle and are better positioned to help others. 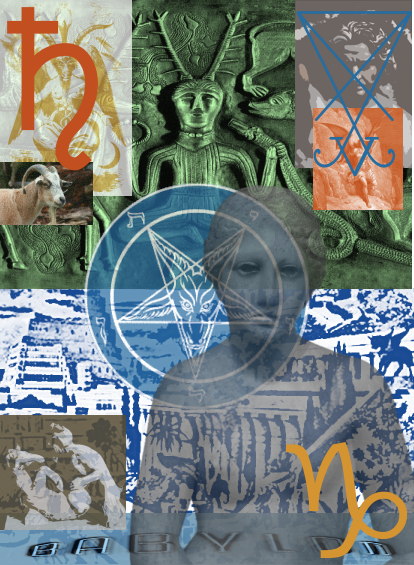 Capricorn is the repository of social institutions, those integrated systems that allow a culture to persevere and continue across the generations. We have entered an age in which all of ours are failing us and it is becoming increasingly apparent that the reason why is because few of them were designed for the majority of us not to mention that technology is creating social upheaval and opportunities for cultural change that are unprecedented. The one philosophy that arose within the last four decades is neo-liberalism a decidedly destructive philosophy which has given us (too) Late Capitalism and its unstoppable consumption, trickle-down economics which has created a drought of wages and driven down social mobility, and has also led to endless wars couched in the idea of humane intervention, instead of a thinly disguised imperialism (not to mention that it is the water we live in, you ask anyone and they can’t tell you what it means, even though it shapes our lives). It has empowered financial elites that have amassed the power of social institutions and zombified them (stripped them of their potency and turned them in the service of said elites instead of the public they are mandated to serve).By some accounts it may be that Neo-Liberalism is finally dying. Along with the philosophy that this is the source of all our woes so must the elites that uphold it be made to heel, in a word we need to muzzle the dogs, and re-instate the social contract and end what is the contemporary equivalent of the enclosures act. Capricorns as holders of these systems are tasked with the creation of new institutions, built of the decaying corpses of the fallen ones. It is a tall order to be sure but Capricorn is uniquely equipped with the capacity to build these new systems ones which act to cohere society together and unite the disenfranchised. On a personal level Capricorn is grappling with the seeming collapse of once reliable cultural systems and is playing an active role in re-configuring them on a more integral basis, and to honestly serve the commons and not a small minority of humans. A powerful symbol of this is epitomized by the by the protest riots occurring in France currently (even in light of recent flooding of the Seine in Paris) Not a moment too soon in a world in which our species is rapidly planetizing and facing numerous existential threats we are wise to rise to this occasion and begin figuring out new social realities. There has been recent ferment and activity around the rise of Artificial Intelligence and what is coined as the Rapture of the nerds, The Singularity: the unique time point in which machine intelligence surpasses human intelligence and undergoes an asymptopic exponential leap in functionality and emergent behavior. The concern is that it could prove to be the last invention that Humanity makes as it could potentially destroy us. It has become the impetus behind Nick Bostrom’s work on existential threats to humanity, as well as Elon Musk’s petition to ensure that AI developers work towards the explicit goal of “friendly AI”. The concern has even inspired a brilliant Ted talk by International Human Rights Lawyer Flynn Coleman. The technology has many applications namely that once it achieves a certain high level of higher order thinking it may help solve some of the problems of Climate Change as it can more accurately simulate its possible effects. Like all things though technology is a double-edged sword, and sometimes a blunt instrument, it is only as good as the intentions inbuilt into it by its designers. The problem at present is the interests expressing the most enthusiasm in its development. Namely defense contractors, the military and private corporations looking only to applications that insulate their bottom lines. The trickery here is that darker intentions could be programmed into these technologies and there is the potential to get an almost Skynet sort of AI like that seen in the Terminator movie series. It could also lead to destructive ends in far more benign ways as the paperclip thought experiment explicates. I mention all this as Aquarius is the symbol holder of technology and the future including its liberatory potentials and it pitfalls. 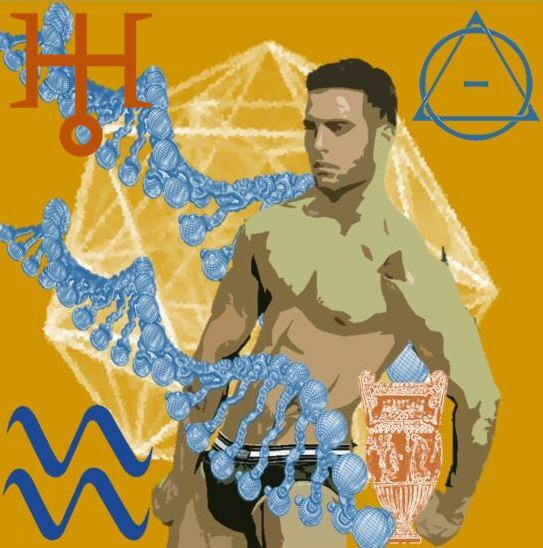 Aquarius then is ensuring that technology is used appropriately and in ways that match the other Aquarian impulse humanitarian concern, in a word technology should ideally serve the commons and be designed with the best features of humanity in its root programming. Further our technology needs to work seamlessly with nature and have no negative impact on the Earth’s life support systems, as Nature is the ground of being. On a personal level Aquarius’ are grappling with the visionary implications of this paradigm shift in how technology is applied to benefit the masses and the community of life. With Neptune in apparent retrograde through the Water-bearer the vision of the techno-wonderland must contend with reality and conflicting interests (not to mention the slow pace of development), this includes avoiding the illusion that technology can solve all of our problems, it truly can’t but it can make them easier to grapple with. Appropriate imagery given that we find ourselves on the on ramp for the Dawn of the Age of Aquarius circa 2597 C.E. (When the March Equinox will fall in the sign Aquarius). Humanity is undergoing a global initiation the likes of which we have only seen in periods of history where civilizations were converging and also some of the more entertaining Science Fiction subplots. It is a period in which a number of existential threats are providing selective pressure for our species to arise to the next level of social integration. In science fiction films of this genre there is some extra-terrestrial impetus which compels humanity into unilateral cooperation to unite against a common threat usually it is an invasion or attempt to quarantine the human species as a dangerous threat to the federation of inhabited galaxies or simple conquest. Examples of films in the genre include Independence Day, The Day the Earth Stood Still , and 2010. What’s interesting is that we hardly need sci-fi scenarios to unite us as we are creating a perfect storm of events that is requiring this of us. Namely a rapacious economy that is fast drawing down resources, Climate Change and the recent policy shift as encoded by the Paris Agreement. Uranus has been in apparent retrograde motion through Pisces which is challenging our deepest held convictions. In a word the ideologies which have taken on religious meaning are increasingly under scrutiny and are not meeting the terms of new conditions. Call it a crisis in Consciousness, something Pisces understands acutely as it presides over our deepest cosmic vision. It is interesting that as we transition to the Age of Aquarius we are still confronted by salient Piscean Mysteries, and further that the tools of science including the perceptual filter known as reductionism, which is the tendency to break complexes down to their constituent parts, that through this process is fermenting a profound paradigm shift. It seems the more we attempt to reduce something to its parts we cannot reduce to a core but instead we see increasing levels of relationship and interconnection. Whether it is the integrated systems of the biosphere and the planetary system or the subatomic strings that are said to give rise to matter, the one common unifier is that relationship defines the operations of these phenomena at every level from the infinitesimal to the galactic, which is to say that if you were to remove any part the entire system would collapse, even if the connection is no more than the chain of cause and effect. This is in stark contrast to the prevailing scientific-cosmic paradigm which states that phenomena are discrete and atomized. Pisces understands this concept like no other and it is here that they are seeking to unite a fragmented world into an understanding that Oneness is the root of reality. 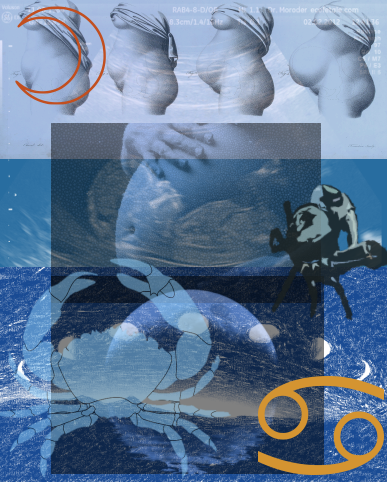 On a more personal note Pisces is internally working through this drama of birthing a new paradigm into existence. This is difficult work because it means confronting sacred cows, and taken for granted “reality paradigms”. That said it is pertinent now more so than ever before that we have the imaginative capacity to manifest a new perception of the Universe, as the threats we are facing require a new consciousness to address. May June bring you all of your desires even in the challenge of great emergencies. Disclaimer: This post will be a rare post that requires a disclaimer. Many of these may seem repetitive this is by design as prediction is notoriously difficult and I like to focus on more practical applications of astrological symbol sets. Along those lines, I will present common themes that correlate well with each signs energy as opposed to focusing on horoscopes. This in in the interest of catalyzing the evolutionary potential inherent in each sign and further to empower individuals to act in accordance with the frequencies of the signs of their birth. This avoids a common psychological trap of determinism. Life is inchoate and the universe stochastic (Random) that we have a great deal of control over our fate (notwithstanding that there are some things we can’t control completely). The stars do not compel they merely suggest.